New Orleans I happened to be sitting next to Washington University professor Mark Rank on a post-Katrina panel at Tulane University a decade or so ago. In the intervening years Rank’s research into the real costs of poverty have become the benchmarks for assessment that the current political strategy for dealing with the poor is penny wise and pound foolish. Attention to Rank’s recent work put him on the other end of the microphone recently for a Wade’s World radio interview on our “voice of the people” stations. Rank and his colleagues looked at the impact of childhood poverty and its short and long-term impacts. Contrary to the conservative ideologues, they found that the cost of such poverty was staggering, not in payouts, but in lost potential and related costs. They were able to crunch the numbers of lost income potential, criminal justice tensions, health care, and other key factors and found that the price tag for our current program of no-prevention-all-punishment is a staggering $1.3 trillion a year equally 5.4% of GDP. Let these figures sink in. By not spending the money on the front end to reduce poverty, nationally we lose that much money by our inaction. In fact, if we were willing to actually try to reduce poverty, the economic benefits would be huge. Rank found that for every single dollar spent to alleviate poverty we would save another seven dollars in national expenditures. Adding a couple of other measures to their study, Rank and his team found that we would save as many as twelve dollars for every single buck we spent preventing poverty. Yes, that’s the opposite of what we hear in the current drum beating in Congress by the Republican majority that wants to make accessing the social services safety net harder, not easier as Rank proves that it should. They claim they are going to reduce the cost of social and health programs by requiring work. As the Times’ columnist Eduardo Porter pointed out, the economic and historical record of such strategies only proves it is a political and ideological program not a bridge to self-sufficiency. People simply stay poor or get poorer. Porter writes that, “Before welfare reform kicked in [under President Clinton], 68% of poor families got help from the federal entitlement to the poor. By 2016, its replacement served only 23%.” The upshot is that there are four million more poor people than there were. Looking at Rank’s work it is clear. If we really want self-sufficient families contributing fully to the national economy and easing federal expenditures related to poverty, we need to stop pretending and playing politics with the poor, and start spending the dollars to reduce poverty. 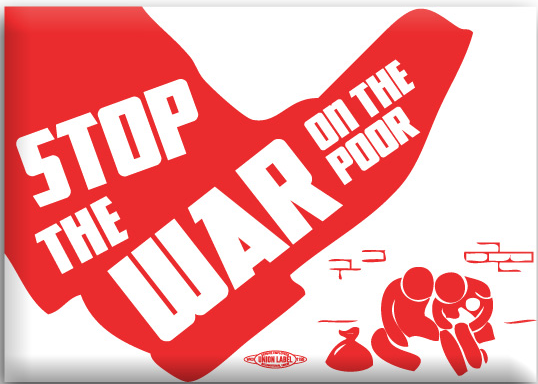 Just as we find in the nation’s other wars, the war on the poor is more expensive that solving the problems beforehand. New Orleans The Houston Independent School District (HISD) has 287 schools. There are 20 school districts in Harris County. Our union represents school workers. We were on the phones with anyone we knew last week in Houston, calling our members to assess their situation and offer assistance in filling out FEMA forms or anything else they might need. We were also talking to managers up and down the district about the reopening, the number of schools that would be involved, and how workers would be deployed. At one point it looked like only a few more than 30 would be unable to open two weeks after the storm and at other times as many as 80. The final number on opening day seems in the mid-50 range, but the key accomplishment in Houston, and a huge lesson learned from Katrina, was that school in fact did open, come hell or high water. After Katrina the tragic error made by everyone connected to the New Orleans school system started with the decision to keep schools closed. Obviously the storm was worse and schools were damaged, but blowing off the school year created irreversible harm, that the city has not recovered from after a dozen years. Families with school age children, often traumatized by the storm and unable to find housing and often with jobs in jeopardy as well, were forced to stay where they were sheltered or evacuated, find housing, enroll school age children in school, and find jobs, making it hard to return and hard to work to recover in New Orleans. In Houston, school employees were retained and in fact were guaranteed wages for the weeks they were out of school. 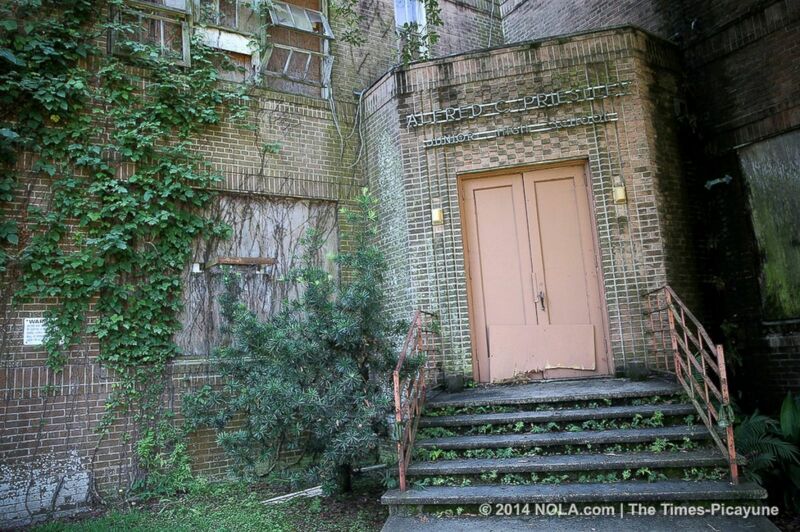 In New Orleans more than 5000 teachers and other personnel were fired. In Houston workers in shuttered schools are being deployed elsewhere in order to be maintained. In New Orleans senior workers were not only not retained, but were also forced to face discrimination and barriers in reapplying. In Houston the emphasis has been retaining people and gaining stability. In New Orleans the leadership decision, influenced by federal policy and incentives, was to reorder and replace people. In Houston there is determination to recover. In New Orleans there was an effort to achieve something similar to ethnic cleansing by whitening the population. Houston will retain its people. New Orleans is still 80,000 people or more below its 2005 population. Does it matter? Heck, yes! There are impacts to public policy decisions. There are tragic outcomes to ideological and governmental initiatives that use entire cities and populations as test tubes and Guinea pigs for disastrous experiments. And, everybody pays, both the intended victims and the bystanders. Good work, Houston. Another lesson from Katrina learned! Please enjoy Mavis Staples – If All I Was Was Black.